www.pauldistefanodesign.com With over 20 years in the industry, Paul Di Stefano Design specialises in Residential Design Consultation. We are particularly client focused and strive to develop the best solutions for individual needs. We help clients make the right decisions in the right order for their project. We nurture and sustain positive client relationships throughout the project. We provide a range of services from remote design advice, on-site consultation, project Feasibility Analysis, concept, sketch and design development through to working drawing and contract documentation, specification, interior design and detailing and construction stage administration and supervision. In other words, whatever a client requires assistance with, we can cover it and package our services accordingly. With an Architectural background, we thrive on transforming challenges into opportunities. As a reflection of this, my designs are creative and beautify tailored to the lifestyle and tastes of our clients. Whether your project is a custom home or renovation, our principle is that the end result should not just meet expectations, rather, it should significantly exceed it! 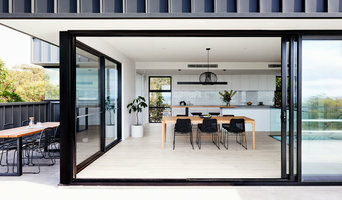 Quin Wyatt Builder Designer is based in the Mornington Peninsula, Victoria and provides designing and drafting services for sustainable homes locally and nationally. Having lived on the Mornington Peninsula, for the over 30 years- Quin has developed a passion for the environmental integration of functional architectural design, and artistic expression, creating homes with feeling that blend with their surroundings. Environmentally friendly and sustainable houses are the way of the future. The world's resources are not infinite and the harvesting of these is not only becoming costly but is depleting the precious habitats that are so important to those that share them. Our knowledge and expertise can show you how to use materials that are sustainable while staying within your budget. Use good design at planning stage and reap the benefits. The added benefit that bears no financial cost is knowing that you have made a significant contribution to the environment while preserving the ecology around you. Welcome to my profile. My direction is of a holistic nature. I firstly design the home, then the interior, furniture selection and design, I paint large paintings and create sculptures including instalation pieces. Lastly, I design the landscaping to compliement the overall design. A real work of art must all be cohesively connected to create the finished masterpiece. Please visit my web and any questions, I am here for you.! 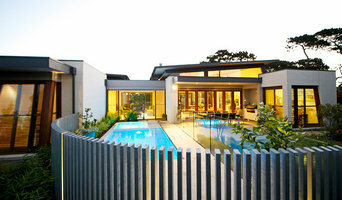 A creative design studio specialising in modern and contemporary building design. 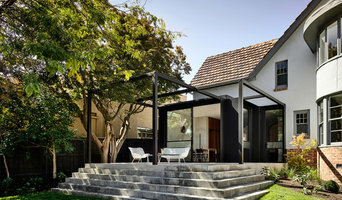 LandDesignBuild complete new home, renovation and multi dwelling residential projects. We combine architecture and project management to deliver exceptional outcomes for our client. We specialise in all things sustainable/ecologically responsive to enhance your life and lifestyle whilst also improving comfort, environmental performance and significantly reducing or eliminating energy costs. 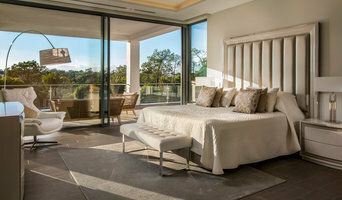 With over 25 years experience as an architect/project manager, builder and construction supervisor in the domestic building industry, principal/owner Mark Sanders and LandDesignBuild can provide you with expert advice in relation to custom and volume building projects for new homes, renovations and multi-residential developments. 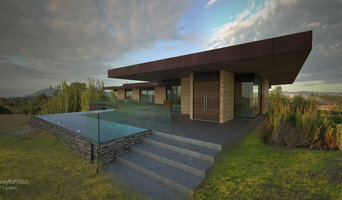 LandDesignBuild provide a range of professional, independent, and unbiased services to our clients – whether for owners, investors or developers – who are building a new home, renovating an existing home or planning to 'knock down and rebuild' a single home or create a multi-dwelling development. Our knowledge helps ensure you experience a successful and fulfilling land purchase and/or building experience – an experience that reduces the challenges, stress, anxiety and decision making normally associated with any building project. We will save you time and money and create a higher quality build outcome than you would otherwise have been able to achieve. Holman Designs is a boutique building design firm, specialising in custom designed residential and commercial projects with a contemporary, industrial edge. Across Geelong, the Surfcoast and Great Ocean Road, we’ve been creating inspired living spaces for over a decade. We pride ourselves on knowledge, innovation and attention to detail. The combination of your essential living elements, tastes and budget with our design experience, produces a home that is uniquely yours. Contact us to arrange your complimentary design consultation. For your convenience, on site and after hours appointments are available. As with all other professional services for home design and renovation, the best way to choose a building designer in Geelong, Victoria is to asses their past work against the style and requirements you have for your individual project. The role of building designers has evolved from traditional drafting services to building design that takes into account your lifestyle, budget and site condition. Building designers in Geelong, Victoria also often work with contractors to ensure that structural elements are in line with desired aesthetics. Once you have a shortlist of building designers in Geelong, Victoria, engage in face-to-face talks about your brief, to ensure you’re on the same page. To get the most value for your money, you want someone who understands you, agrees with your ideas – in relation to sustainable design, space and function – and has the qualifications and enthusiasm to translate ideas to paper and into a reality. Look through Photos of house designs to find projects similar to your brief. Then, click through to the professional responsible for your favourite picks, browse their latest projects and read reviews. Once you’ve created a shortlist of Geelong, Victoria building designers, strike up a conversation with each one and you’ll be one step closer to the house of your dreams!